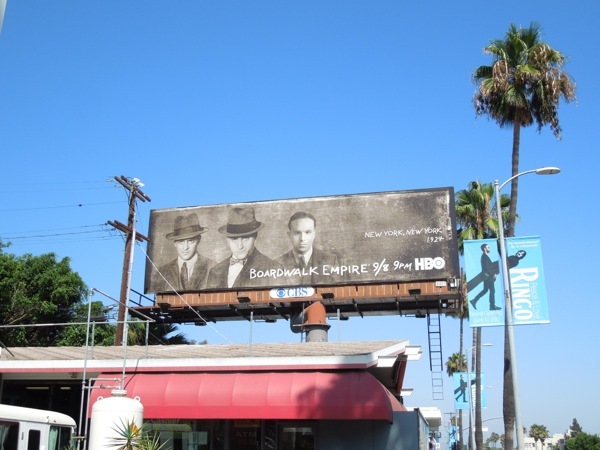 A brand new TV season is almost upon us and to herald its arrival a whole new onslaught of billboards for new and returning shows have appeared in the skies of L.A.
To kick off another TV WEEK here at Daily Billboard, here's a fantastic collection of billboards for the fourth season of returning favourite, Boardwalk Empire. 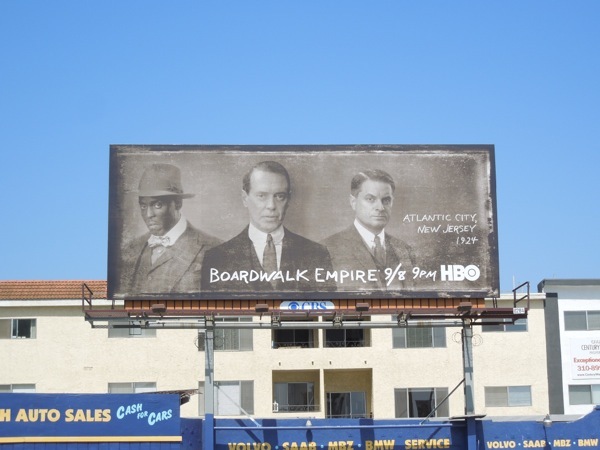 This series of ad creatives for the HBO Prohibition era American mobster drama is a real departure from previous seasons, abandoning the glitz and glamour of 1920's Atlantic City, New Jersey, for these evocative vintage photograph style billboards instead. 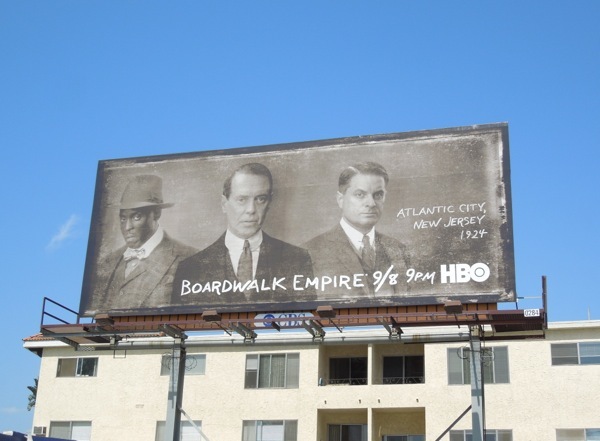 This season it looks like Steve Buscemi's infamous gangland boss, 'Enoch "Nucky" Thompson', will discover that no reign goes unchallenged and the business of bootlegging, gambling and prostitution will face more even competition from other sources and cities. 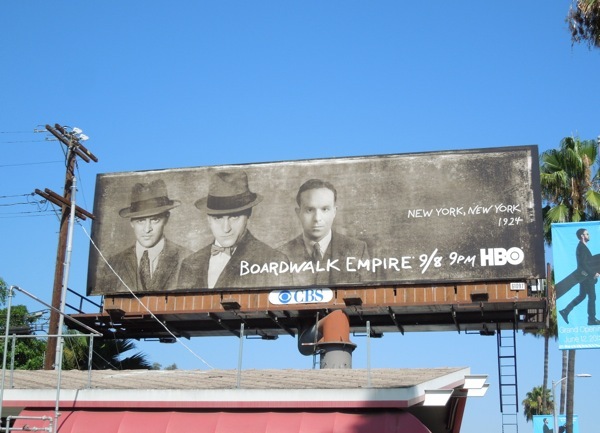 These stylised billboards certainly help to convey that menacing period gangster feel. 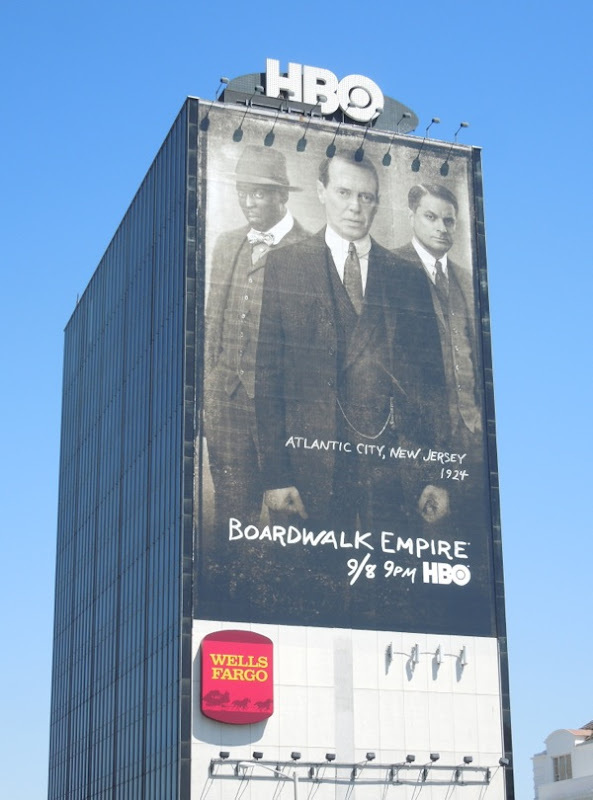 Plus by not simply focusing on one central visual, but the various players from Atlantic City, New York City, Harlem and Chicago, helps to add to the mystique and mythology of the series (and with his own super-sized ad creative it looks like Casino Royale's Jeffrey Wright will be a major character this season as 'Valentin Narcisse'). 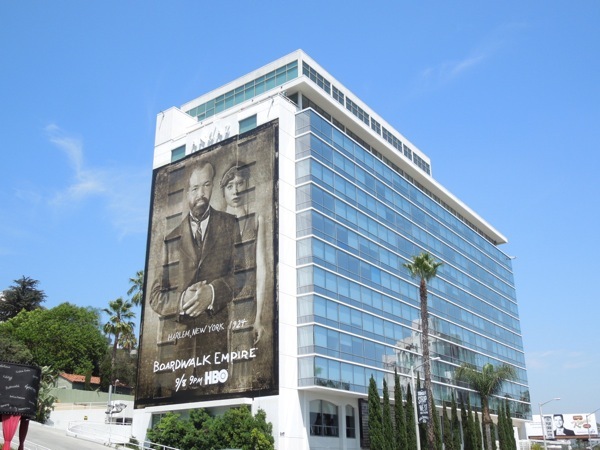 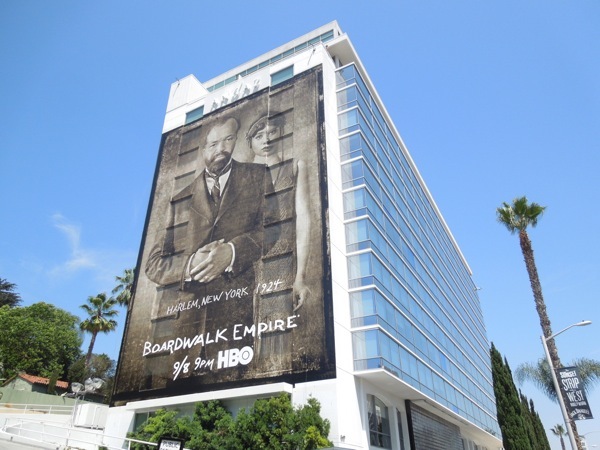 The giant-sized billboards for the new season of Boardwalk Empire were snapped on the side of West Hollywood's Andaz Hotel and the 9000 Sunset Building, towering over the Sunset Strip, whilst the standard landscape billboard ads were spied along the busy Sunset Boulevard and Santa Monica Boulevard on August 15, 2013. 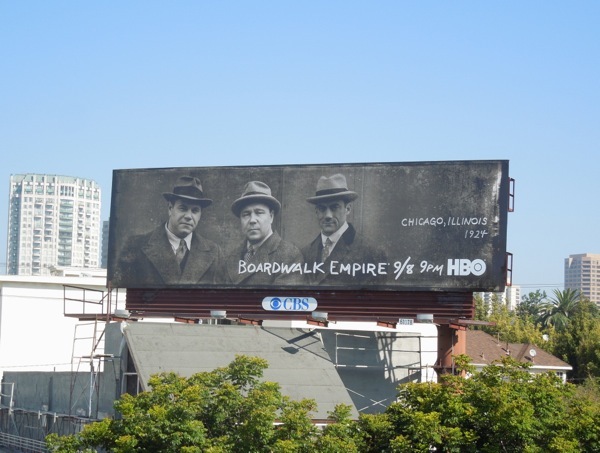 If you're a fan of the Roarin' Twenties crime show, be sure to compare these new billboard designs to the previous three seasons ad campaigns for Boardwalk Empire. 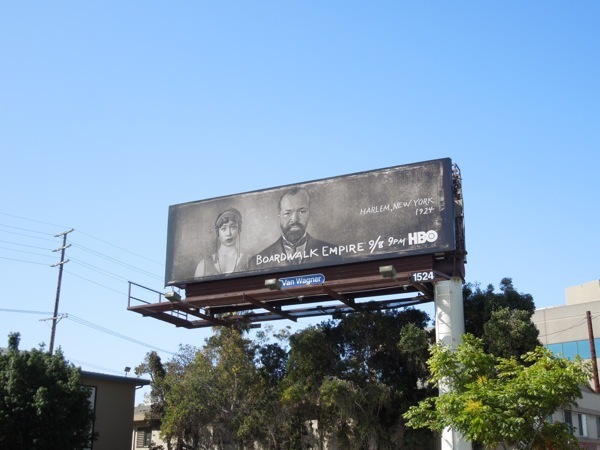 By the looks of things, the only thing you can count on this season is even more blood. 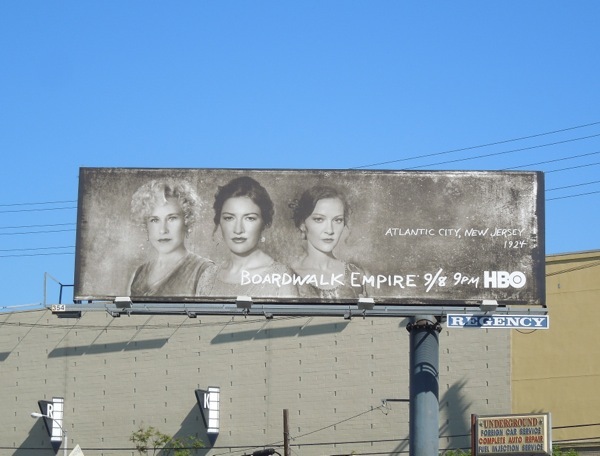 UPDATED: Add one more creative to this already impressive collection of ads, this time though, the ladies of Boardwalk Empire are in the spotlight. 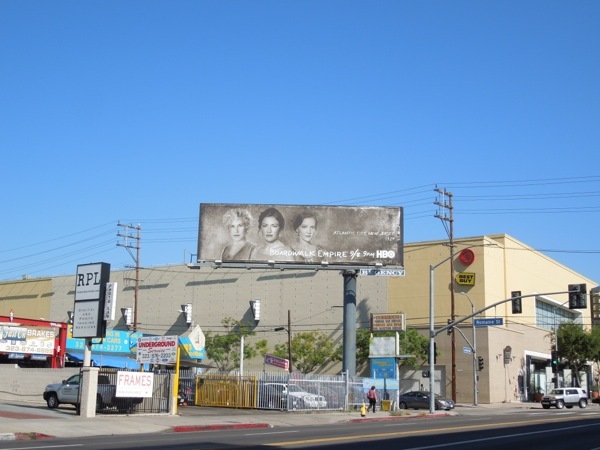 This billboard with its bevy of beauties was spotted along La Brea Avenue on August 23, 2013. 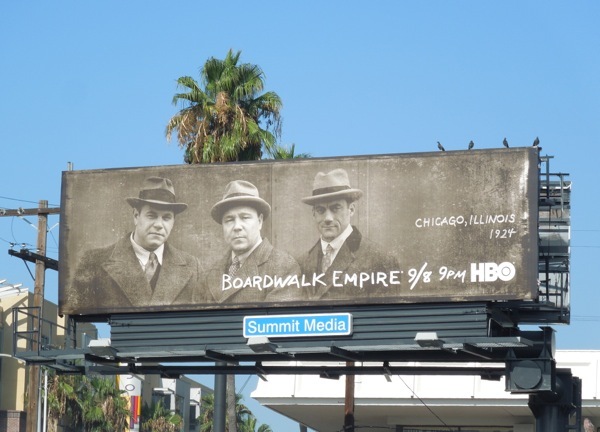 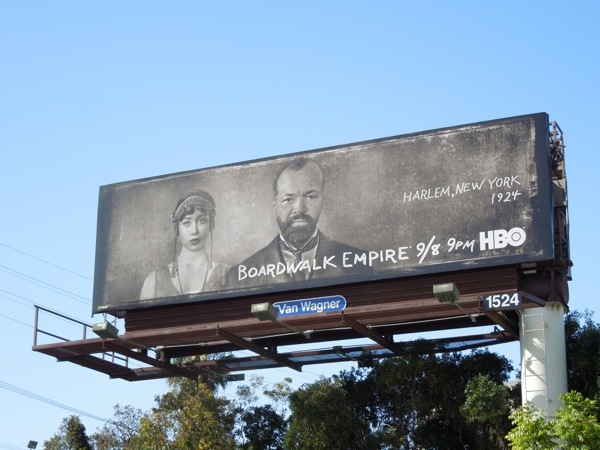 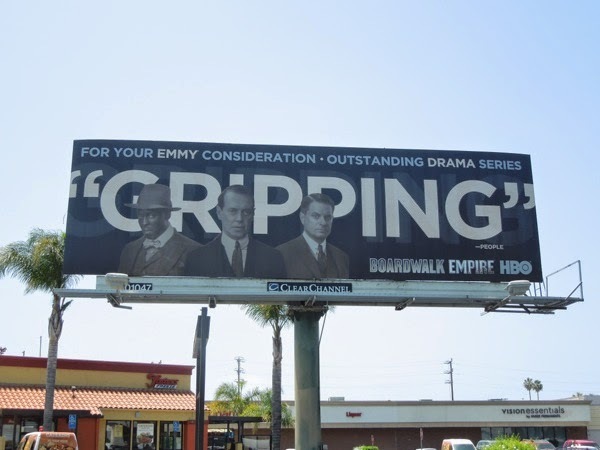 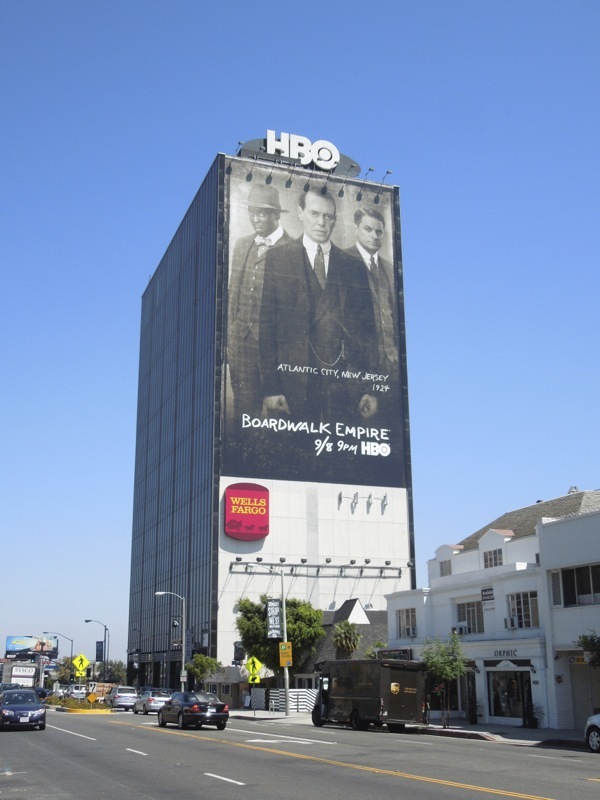 UPDATED: Here's also the 'Gripping' Emmy Consideration billboard for Boardwalk Empire's fourth season, used to garner nominations as part of the 2014 HBO Emmy Consideration ad campaign, spotted along La Cienega Boulevard on May 25, 2014.